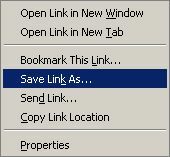 Important Download Information: Before you download the file, please understand that in order to view it you need to have Adobe Acrobat Reader installed on your computer. Most computer systems have this installed, but some may not. Here is the best way to know: If you download these files to your computer and have an error when you try to open them, you may not have the Acrobat Reader on your system. If you do not have it installed on your computer, that’s okay. Simply download it for free here. 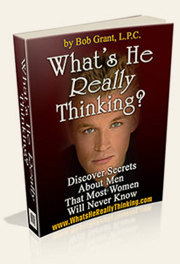 What’s He Really Thinking will give you not only insights into a man’s mind and heart, but will also give you what most relationship books don’t —> the ability to create empathy. This is critical because what men crave more than most women realize is a woman who "gets" them. Whenever they are around such a woman then instantly feel connected to her, even though they don’t know why. Forget trying to be perfect. Instead let these insights begin to change how you view men and even though some may seem funny or even odd, don’t let that stop you from experimenting with these life changing insights. Right Click on your Mouse on the Link below and select "Save Link As…"
What Men Secretly Want – Watch this FREE Presentation to learn the one thing men crave from a woman, even more than love. Text The Romance Back – Can you really add spark and passion back to your relationship at the push of a button? The truth is that men LOVE to text. You knew that right? Why not use it to your advantage and learn how to unconciously awaken his passion using these little text messages sent from your average cell phone. How Do I Get Him Back– If you’ve lost the love of you life then time is critical. So often a relationship can be saved if you know how to act, what to do and when to respond during the first few weeks after a breakup. This step by step plan has been used by hundreds of women around the world to save their relationship and bring the man they deeply loved back into their arms.